This item is currently sold out. Please enter your email address below and we will contact you when it comes back in stock. With this product, you earn 69 loyalty point(s). 69 point(s) = $ 4.14. Made in 18K gold vermeil on 925 sterling silver. Add allure to your neckline with this dainty necklace. 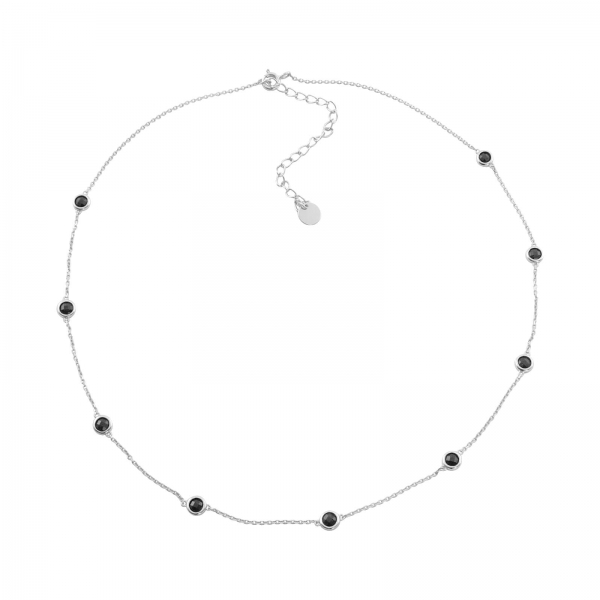 A slim chain detailed with glistening black cubic zirconia adds just the right dose of dazzle. We ship worldwide from Amsterdam, Netherlands with love. All items are normally despatched within one working day of placing your order. We do not deliver to P.O. Boxes. Have a question? Feel free to ask, we are here to help. Your question has been successfully sent to our team. We will respond within 24 hours.